Note: This event will take place at the East Tennessee Historical Society, 601 South Gay Street. Jeff Speck has dedicated his career to determining what makes cities thrive. And he has boiled it down to one key factor: walkability. The very idea of a modern metropolis evokes visions of bustling sidewalks, vital mass transit, and a vibrant, pedestrian-friendly urban core. But in the typical American city, the car is still king, and downtown is a place that’s easy to drive to but often not worth arriving at. Making walkability happen is relatively easy and cheap; seeing exactly what needs to be done is the trick. In this essential new book, Speck reveals the invisible workings of the city, how simple decisions have cascading effects, and how we can all make the right choices for our communities. Bursting with sharp observations and real-world examples, giving key insight into what urban planners actually do and how places can and do change, Walkable City lays out a practical, necessary, and eminently achievable vision of how to make our normal American cities great again. A city planner and co-author of Suburban Nation, Speck builds on the claim that cities are the key to sustainable living by showing that the essence of livable urban areas is their walkability. Replace highways with boulevards, parking lots with main streets—it seems simple. Speck discusses how to achieve such goals and looks at midsize cities such as Lowell, Tacoma, and Grand Rapids as models for the future. 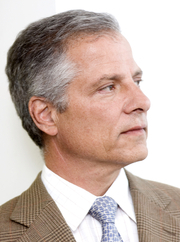 Andres Duany is currently considered a "single author." If one or more works are by a distinct, homonymous authors, go ahead and split the author. Andres Duany is composed of 1 name.